A big part of the problem is that Bernie and his supporters have been wanting to believe that they’re participating in a democratic process within the un-Democratic Party, which spotted Hillary 400+ points at the outset. Those superdelegates are only a symptom of the party’s control by undemocratic forces. That’s the game and arena in which Bernie chose to play. Bernie entered that race, against the Clinton machine, with a neophyte organization and little name recognition—deficits that would have taken years to overcome. Then again, Bernie entered the race unprepared to win because he entered the race not intending to win. He may have changed his attitude as the race developed, but by that time he had ceded the southern states to Hillary by big margins on Super Tuesday, giving her a cushy lead in pledged delegates. In the end, Hillary has won pledged and superdelegates. It works better if you decide you want to win before you enter the race. Like every other politician, Bernie also entered the race, having said or done nothing about the increasingly suspicious voting process in this country. 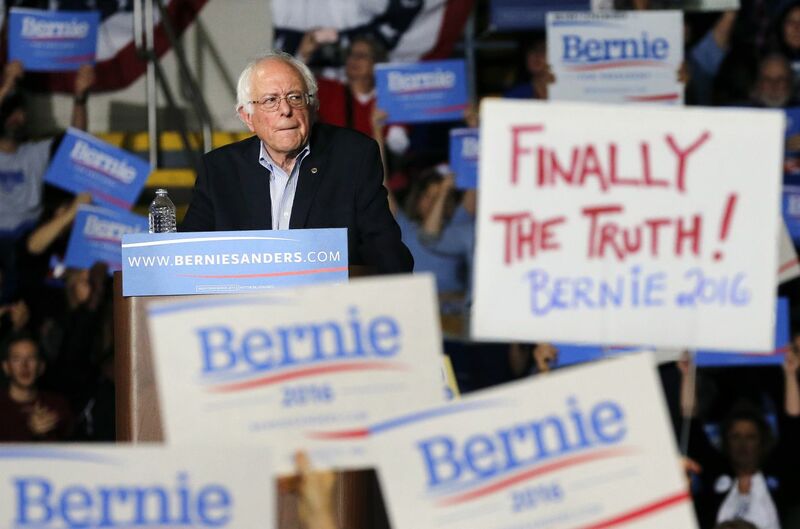 Faced with a lot of fishy voting results (analyzed here and on Counterpunch here), the Sanders campaign and its supporters did eventually take notice and raise some protests. But, again, the time to start talking about restrictive voting laws and untrustworthy vote-counting practices is before you get into the race, not when you’re in the middle of it. Unfortunately, nobody does, and I bet nobody will. Everybody on the left wants democracy in the abstract, but their minds are too occupied with big-picture issues to bother with the theoretically uninteresting practical details of who or what actually counts the votes, and how. Until it’s too late. Then they find themselves out of the picture, realizing they’ve been playing a game in which they can never know how cheated they were. Bernie has lost by Party-appointed superdelegates and by elected (through whatever opaque process) pledged delegates. Barring an indictment or some other deus ex machina, Hillary is going to be the nominee, and Bernie knows it. Better to confront and analyze the reasons for that, and figure out what to do next, rather than attack those who report it, and pretend that something else is going to happen. So what is Bernie and his posse going to do now, about the Party they’re complaining about? Sure, he should fight through the convention, but not just to insist that the roll be called on July 25th to make it official. Fight for progressive planks in the platform? Well, if that means mounting floor protests, coordinated with protests in the street, demanding public promises from the nominee and the full convention on a number of key issues, with the threat of walking out with his supporters, that would be some kind of bang, at least. Just getting a couple of nice planks in the platform—which, of course, President H will consult before she makes any significant decision? Not so much. “Hey, we got three great planks in the platform. Come back in four years, and maybe we’ll get five!” is not a revolutionary program. That threat—Affirm the party’s substantive progressive stance on x, y, and z, publicly and irrevocably, or we walk out!—is the only power Bernie and his supporters have in the Democratic convention. He’s going to have to use it to get any serious change, since Hillary controls all the committees, Cornel West notwithstanding. And even then, does anyone think that Hillary, as President, will worry a second about anything she promised at the convention? Then will you leave? If Bernie and his supporters really do the math, it adds up to: They’ve already been counted out. Don’t blame the AP for telling you so. The question is: On what date, if ever, will you walk the walk? For Bernie himself, that answer has always been, and—I see no reason to doubt—still is: never. His supporters are going to have to decide, one by one, on their own. A whimper. In the end is the beginning.